Child car seats are important for your child’s safety, and there are strict rules governing the use of them in private cars and commuter vehicles. So, are child car seats required in limos or taxis? The answer, in Illinois, anyway, is no. You do not need to use child car seats in limos or taxis in the state of Illinois. Most Chicago limo companies and taxis do not offer child car seats or booster seats. They are not required by law to offer them and you are not required to use them when traveling in commercial cars. You are frequently welcome to bring your own and install them yourself, but you are also welcome to travel with your child without the car seat. This is clearly outlined in the Child Passenger Protection Act. Some limo companies, such as Going Green Limousine, is family owned and understands the importance of traveling safely with children. Even though we are not required to deal with car seats, we are happy to provide our Chicago limo service with car seats. All of our vehicles are equipped with the latch system for properly installing car seats. Traveling with children can be stressful, and if you want the added security of using a child safety seat with a car service, then dealing with the bulky heavy car seat can add even more woes to your plans. We certainly welcome you to bring your own, but we also give you the option of renting new and clean car seats from us. Our chauffeurs preinstall them for your convenience, so you can totally eliminate the car seat worry from your ground transportation. You can even rent our car seats for the convenience and just bring yours as cargo if you need it at the other end of your travels. We are completely flexible and only want to provide you with as much peace of mind as we can. That is also one of the reasons we offer every type of car seat. Rear facing infant car seats with the base (five point harness) are good for infants from 5 to 22 pounds and up to 29″ in height. These seats are meant to go up to one year for your baby. However, many babies start outgrowing that seat as early as 9 months old. State law requires infants to stay rear facing for up to one year, and new safety guidelines recommend keeping your child rear facing for up to two years if possible. So, what is a parent to do? Introducing, the rear facing convertible car seat. Rear facing convertible car seats (five point harness) are good for infants from 5 to 35 pounds. Once your child has hit 35 pounds, he will need to be forward facing. Forward facing car seats (five point harness) are good for toddlers from 20 to 40 pounds and up to 43″ in height. Once your child has outgrown this seat, then he has outgrown the five point harness car seat options and is ready to move into a booster seat. Booster seats are important because they raise your child to a height that can be appropriately used with the car’s own seat belt. There are two types of booster seats and they both accommodate the same weight and height of the child. The main difference is that the high back booster provides additional support for the correct seat belt height, which can be useful for the smaller child. High back boosters are good for 30 to 100 pounds and 34″to 57″ in height. Backless boosters are good for 30 to 100 pounds and 34″to 57″ in height. When you make a reservation with us by phone or online, just let us know what type of car seat(s) you need and we will be happy to have them installed for you prior to your scheduled pick up. If you need help deciding which car seat, our reservationists will be able to assist you with general guidelines of height or weight or even age. We look forward to providing you with peace of mind family car service with child seats, whether you are renting ours, bringing your own, or going without child restraint devices. Book your Chicago limo service today and enjoy your family travels. Illinois law prohibits alcohol in non partitioned vehicles. This means the vehicle must have partition capability in order to allow passengers to drink alcohol while in the limo. Passengers must also be 21 or older by Illinois law. What does this mean for you? If you are of legal age and plan on drinking alcohol in the limo, be sure to reserve a limo with a partition. Stretch limos typically have a partition, while standard vehicles do not. There are no Illinois laws regarding consumption of non alcoholic beverages or food in any vehicle. 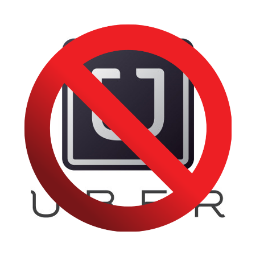 Every limo company will have different policies regarding this, so check with the limo service provider to find out what is and is not allowed. Typically, the limo company will provide bottled water. Other beverages and/or food may or may not be acceptable. There may also be a cleanup fee for spills. Smoking is illegal in all Illinois public transportation vehicles. Smoking in any Illinois or Chicago limo, livery, or taxi, is against the law and passengers can be severely fined for breaking this law by both the police and the limo company. Vehicle detailing is required to rid the vehicle of smoke, and that cost may be passed on to the passenger(s). Most limos no longer have sun or moon roofs, but if they do, you are not allowed to stand up through them. This is against the law as well as against most limo company policies for safety reasons. Vehicles cannot be loaded beyond the passenger capacity. Passenger capacity can easily be determined by the number of seat belts installed in the vehicle. When ordering a limo, be sure the vehicle is truly capable of holding your party count. Some limo companies will sell a 10 passenger limo for a party of 10 (with the intention of squishing 10 people back there), but the limo may really only be seat belted for 10 passengers total. This means 8 passengers in back and 2 up front, 1 of which is for the driver. This means that only 8 people can legally be in back, 1 up front next to the driver (provided the seat has not been removed for cargo purposes), and 1 party member left standing on the curb. Ask questions, and if you don’t get solid answers, call a different limo company. Going Green Limousine will be happy to help you answer any questions regarding limo policies and limo laws. Just give us a call at 773 295 5959 and any of our reservationists will be able to direct you. As a Chicago limo service provider, it is our job to be sure you not only have the right limo, but you have a great time without stressing over breaking any policies or laws. That is why we offer Peace of Mind transportation. Every time. There are many modes of transportation available to you as a consumer. You can catch a ride with family or a friend, hail a taxi, hop on a bus, take a train, or reserve a limo. Chicagoans and people worldwide make this choice every day. Some people understand the value of taking a limo service, while others don’t really know what a limo service actually offers. So, what does a limo service offer? Professionalism, for starters. Limo companies provide you with professional chauffeurs who are trained in this industry. They have safe driving records, know the areas they service, understand local traffic patterns, and can provide you with facts about the town and local eateries. They are good conversationalists who are skilled at knowing when a passenger wants to chat or when a passenger wants to nap. Small talk and silence, believe it or not, is a specialty trait. Professional chauffeurs assist with luggage, get doors, and provide you with refreshing bottled water. Additionally, Chicago limo chauffeurs are annually background checked, drug tested, and required to undergo a medical physical exam every year. What about the limos themselves? They are newer, meticulously clean, and mechanically maintained to provide you with a safe and comfortable ride. Vehicles range from sedans to stretch limos, but you can rest assured that a limo service will be sure you get a car that you will enjoy riding in. And don’t forget, that professional chauffeur will help you get even more comfortable by adjusting the temperature to meet your needs and setting the ambiance with music of your request. Is insurance important? What about business licenses? Yes! Professional limousine services will always have the proper insurance and registration required to operate in the town in which it is licensed. Getting into a vehicle that is not commercially insured could be disastrous for all parties involved and is completely unacceptable in the limo industry. Furthermore, not being properly licensed and registered could mean leaving a passenger stranded by the side of the road, which would be intolerable and stressful. A good limo company knows the importance of following rules and regulations and providing peace of mind at all times. Proms, or promenades as they are formally know, originated in the universities back in the 19th century as a celebration for their graduates. Over the years, proms have transformed and now take place as early as high school, including junior high. Formal attire is still customary, but fashion trends continuously change through the decades. Another alteration to the proms of yesteryear is that while proms of the past tended to be mainly enjoyed by couples, now it is socially acceptable to go solo or join a group of friends. Some prom concepts remain constant, such as ball rooms and limo transportation. However, one of the newer changes on the prom scene is the movement toward the environmentally conscious prom, also known as the eco prom. Fortunately, more and more teenagers are becoming aware of the dangers of climate change and are willing to tackle the problem through lifestyle changes. Prom is a great chance to showcase how easy it is to have a formal and traditional event while still being green. Follow the tips below to have an Eco prom, whether you choose to go simple or all out elegant. Fashion: Sustainable clothing is becoming easier and easier to obtain, and with the different fabric choices now available, you don’t have to wear a hemp T-shirt to the prom (although the men are welcome to wear them underneath their tuxedos). Organic cotton, organic silk, bamboo, hemp, and soy are just some of the fashion options being used to create ecofriendly garments. Shop for locally sourced materials or search for fair trade fashion suppliers. Of course, you can also shop for a used gown as recycling is an even greener way to go. Most prom gowns are only worn once, so even a used dress is going to be like new. Which brings us to the next idea: buy a gown you can wear more than once. Some dresses can be dressed up or dressed down, so you can maximize its potential. Another option to also to rent a dress. It is more cost effective to rent than own, and then you can choose any gown you want without worrying about its prospective to be worn for another occasion. This is a 100% hemp knit gown handcrafted by a famed Danish knitter in sweatshop-free Europe. Priced at $299 at the time of this posting. Visit Rawganique for details on this dress and others. Makeup and Nails: Skip the fakes. Mock nails and false eyelashes are unsafe for the environment and the toxins are very unhealthy for you. Go natural and let your own beauty shine, or use all natural products. Mineral makeup, natural eyeliner, natural mascara, natural lipstick, and natural nail polish can all enhance your appearance without hurting you or the Earth. Abe’s Market is a great online marketplace for natural products from different vendors who list all of their ingredients so you can make an informed choice. Shoes: Shoes have long been touted as the main accessory to your fashion statement. However, if you think about it, you really don’t wear them, especially at the prom. Unless you’re wearing sneakers, there’s a good chance that your shoes will be under the table from dinner until dawn, or at least until midnight when you head back to your carriage, or our limo as the case may be. So, consider being shoe smart when shopping for your prom. You can choose comfortable flats or even heels that you can wear with future outfits; but avoid the specific shoe that will only be worn this one time. There are several options for shoes now that help with eco choices, too. From fake leather and recycled vinyl to hemp and cork, you can find some simple buy stylish shoes that will be comfortable for you and help the Earth breath a little easier, too. And of course, fair trade or locally sourced and made is always the best option with any purchase. Purses: You most likely want your purse to match your shoes or your outfit, or maybe you distinctly don’t want to match at all and go with sharp contrast. Either way, the purse is another one of those items that you will most likely leave at the table and forget about until the dancing is done. If you are planning on leaving your purse unattended, please be sure not to keep any identification, keys, cash, credit cards, or jewelry inside it. Keep a small personal bag that you can wear on your body with these essential items. A clutch is usually the most chosen bag for prom due to its size, but it also is one of the most inconvenient since you need to hold it (clutch it) in your hand at all times (hence the name, clutch). A purse with small handles that can hang on your shoulder right under your arm may be better for dancing. A cross body purse is also relatively comfortable and depending upon the style, can accessorize your gown. However, for the most part, your purse is not going to be comfy on the dance floor, so strap your important things to your thigh with a thigh purse or garter purse and if you have more items, keep those in a bigger bag at the table or coat check. Rather than spend money on a one time use purse, choose a sustainable option that can be used long term, and look for items made from organic cotton, hemp, and even recycled yoga mats (see below). And, obviously, locally made, locally sourced, and fair trade are a given when purchasing purses. This lined purse is handmade in Colorado of jute yoga mat mixed with a black yoga mat and can be worn as a cross body purse. Priced at only $28 at the time of this posting. Visit OlovesM for details and additional products. Jewelry: Jewelry is tricky, especially once you learn about blood diamonds or conflict diamonds. There are ethical jewelers out there, though, so you can find the perfect sparkle for your dress. Most jewelry can be worn again with other outfits, so pick something you like and just make sure it comes from a pure source. You can also get necklaces, bracelets, and earrings made from lab created (synthetic) gemstones, recycled glass, recycled vinyl, and hemp. Transportation: You may be wondering how transportation can be green unless you’re taking the train to the prom. Believe it of not, you can green your ride with an eco car service. While there are not many limo companies yet offering the green option, there are a few like Going Green Limousine out there. Our Chicago limo company offers hybrid sedans and Flex-Fuel SUVs, which are perfect for prom parties from one to seven passengers. More than seven passengers can also get a green ride, even though it will be in a stretch limo. Our limo company has a carbon offsetting program in place for stretch SUV limo rentals, so you can feel confident about your ride resulting in trees being planted in the Atlantic Rain Forest. There’s also the added benefit of using a stretch limo by reducing the number of vehicles on the road. For example, if you put eighteen passengers in our stretch Cadillac Escalade SUV, there will be only one vehicle on the road instead of nine sedans for nine couples, or eighteen cars for eighteen people, or . . . you get the idea. It’s definitely a way to green your prom limo service. Another advantage of having a limo is being able to enjoy the entire prom without worrying about driving and parking. And it is a time honored tradition to have that extra indulgence on your prom night. If a limo is not on your radar for prom, then consider carpooling to reduce your carbon footprint on prom night. And if you happen to take the train or bus, enjoy the ride knowing you are attending prom night without adding injury to our planet. Going Green Limousine, Chicago Prom Limo for up to 20 passengers in our Cadillac Escalade stretch SUV (pictured above). Four hour split charter prom packages available. Charters include complimentary soda and bottled water. Stemware is provided. Make your reservations by phone at 773-295-5959 or online at Going Green Limousine. There are many ways to have a green prom. We would love to hear some other ideas you have to help make proms more environmental without reducing the emotional impact of this very special evening. I look forward to hearing from you. Chicago Loop to O’Hare or Midway, just $49 with today’s Daily December Deal. This offer is good for hybrid sedans and hybrid SUVs for up to 4 people. Need a large SUV for up to 7 people? Just add $25 to the $49 rate. If you live outside the Chicago Loop area, you can still benefit from today’s deal. Just ask us for a quote and mention DDD19. To receive this promotional offer, just mention DDD19 when you make your reservation online or by phone by 11:59pm on December 19, 2011. A private car service, also known as a limo service, is different than a taxi in several ways. Going Green Limousine offers private cars that are well maintained and immaculate. Our chauffeurs are more than just drivers. They are personal assistants who will help you with your luggage, get your door, and accommodate to your needs. Do you want the temperature adjusted hotter or cooler? Would you like the radio on or off? If you want to chat with the driver, you will be met with pleasant conversation. Prefer peace and quiet on the drive? Our chauffeur will get you there safely while you rest comfortably. Of course, complimentary bottled water is always available in our vehicles; as well as reading materials. Getting on a plane? Going to a hotel? Or would you just like something to read at home? Be sure to help yourself to a complimentary issue of Mindful Metropolis, available in all of our vehicles. Save $5 on every reservation made today. To receive this promotional offer, just mention DDD18 when you make your reservation online or by phone by 11:59pm on December 18, 2011. As the premiere eco Chicago car service, Going Green Limousine provides all kinds of limo service to the Chicago land area as well as to surrounding suburbs, Northwest Indiana, and the Milwaukee Wisconsin area. No travel is too far for us, so if you need a custom quote, just send us an email or give us a call. Make a reservation today and we will plant a tree in the Atlantic Rain Forest. To receive this promotional offer, just mention DDD17 when you make your reservation online or by phone by 11:59pm on December 17, 2011. BONUS! Agree to a tree! Donate just $1 and we will plant TWO (2) trees for your ride. Just mention Tree Agree and we will add $1 to your fare and plant 2 trees. The Atlantic Rain Forest is one of the most bio-diverse forests and is in severe endangerment. Going Green Limousine periodically plants trees in this beautiful Brazilian rain forest, and we are happy to plant even more with this December Daily Deal. Just mention DDD17 and we will plant a tree with your ride. Mention DDD17 and TREE AGREE and we will plant two trees with your $1 donation. Follow us on Twitter, Like us on Facebook, or become our Neighbor on Merchant Circle and receive $15 off your next Going Green Limousine Chicago service. To take advantage of today’s Daily December Deal, just send us an email and let us know which social media platform(s) you are using to stay in touch with us and we will credit you with $15 to use on your next Chicago ground transportation. To be social, we are extending this offer an extra day! Be sure to mention DDD16 in your email and send it by 11:59pm on December 17, 2011 to receive this promotional offer. Going Green Limousine is more than eco, we’re social, too. We enjoy staying in touch with our clients and associates, so please add us to your favorite social media platforms. In addition to benefiting from our Daily December Deal, you will also be privy to specials and offers that are only made available on our social media platforms. Winter Wedding? Take advantage of today’s Daily December Deal and add some green to your white wedding. Save $20/hour off any charter requiring 3 hours or more. This offer is good for our hybrid sedans, hybrid SUVs, flex-fuel SUVs, and 8 passenger stretch limos. Mention DDD15 when making your reservation online or by phone. Reservations must be made by 11:59pm on December 15, 2011 to receive this promotional offer. Start your marriage with your green foot forward. Your white wedding can be made greener by using eco friendly transportation. Choose from hybrid sedans, hybrid SUVs, flex-fuel SUVs, or 8 passenger stretch limos. Our hybrids reduce emissions by up to 80% and we have a carbon offsetting program in place for stretch limo rentals, which means your white wedding can be green and still provide you with luxury transportation. Book four hours or more and charter an 8 passenger stretch limo for the price of a large SUV charter. Only $80/hour plus gratuity. Overtime will be billed at the discounted rate as well, so party for as long as you like. Not valid on Christmas Eve, Christmas Day, New Year’s Eve or New Year’s Day. Mention DDD13 when making your reservation online or by phone. Reservations must be made by 11:59pm on December 13, 2011 to receive this promotional offer. When you charter your Chicago stretch limo, the chauffeur and vehicle are at your disposal. It includes unlimited stops so you can go wherever you want and stay for as long as you like. All stretch limo charters include complimentary ice, bottled water, and glassware, so you are welcome to bring your own alcohol (provided all passengers are 21). We can stock the bar for you as well, just ask us for our price lists. And of course, since we are Going Green Limousine, we will offset your carbon footprint with donations to local environmental causes. made by 11:59pm on December 13, 2011 to receive this promotional offer. Whether you need Chicago airport transportation or Chicago point to point service, Going Green Limousine will take you there in a clean and comfy, luxurious sedan or SUV. Our hybrids and flex-fuels are new and well maintained, and for an added bonus you get to travel with a reduced carbon footprint. Going Green Shouldn’t be a Gamble Don’t take a gamble on your car service. Going Green Limousine is always on time with safe, clean, and mechanically sound vehicles. With today’s offer, you have nothing to lose. Save either $11 or 11% on any fare booked for one of our sedans or SUVs (good for up to 7 people). Once you take a gamble on Going Green Limousine, we are confident you won’t use another Chicago limo car service. reservation online or by phone. Reservations must be made by 11:59pm on December 10, 2011 to receive this promotional offer. Offer based on availability only. 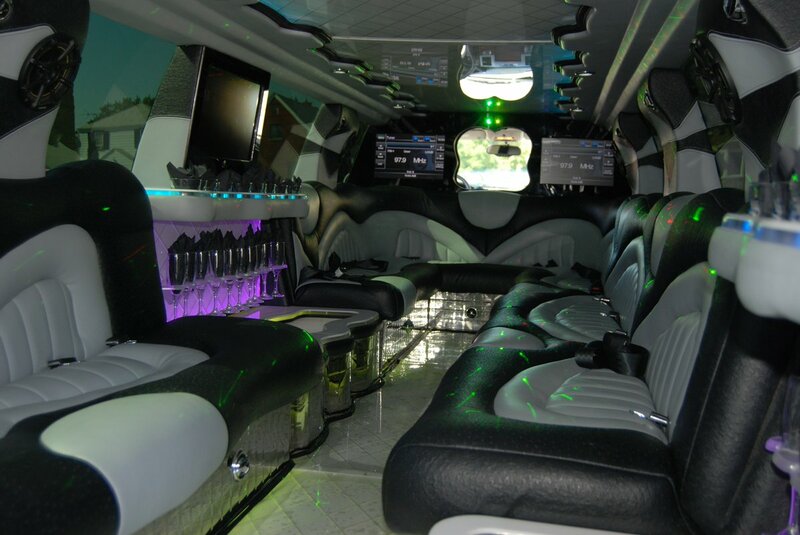 Ring in the New Year with Going Green Limousine Chicago charters. Sedans, SUVs, and stretch limo charters are available for city tours as well as brunches, wine tastings, and any other event for which you need transportation. All passengers will receive Carma Cash, which doesn’t expire and can be used on any future ride with Going Green Limousine. New Year’s Day Sedan Charter (up to 3 passengers), $160 for 3 hours plus gratuity. Each additional hour is only $50, so book the vehicle for as long as you need it. Additional discounts are available for charters requiring 5 hours or more. New Year’s Day SUV Charter (up to 4 passengers) $175 for 3 hours plus gratuity. Each additional hour is only $55, so book the vehicle for as long as you need it. Additional discounts are available for charters requiring 5 hours or more. New Year’s Day SUV Charter (up to 7 passengers) $225 for 3 hours plus gratuity. Each additional hour is only $70, so book the vehicle for as long as you need it. Additional discounts are available for charters requiring 5 hours or more. New Year’s Day Stretch Limo Charter* (up to 8 passengers) $285 for 3 hours plus gratuity. Each additional hour is only $90, so book the vehicle for as long as you need it. *Add the “Sunday, Bloody Mary Sunday” stocked bar option for only $50 to your stretch limo charter. *Add the “Tequila SUNdayRise” stocked bar option for only $50 to your stretch limo charter. *Add the “Mimosa Monday on a Sunday” stocked bar option for only $50 to your stretch limo charter. Other stocked bar options are also available. Complimentary ice, water, and glassware is included in every charter. Chicago limos, like limos everywhere, spend the majority of their day idling. Many people just think of stretch limos when they think of limousine companies; however, sedans are actually the bigger offenders. There are more black Town Car type sedans servicing the limo industry than stretch limos in general, and those vehicles idle in front of people’s homes, at the airports, and in city traffic day and night. Going Green Limousine reduces the emissions emitted by idling limo sedans by using hybrid limo sedans and hybrid limo SUVs. Our hybrid green car limo fleet reduces emissions by up to 80% and sometimes even more. 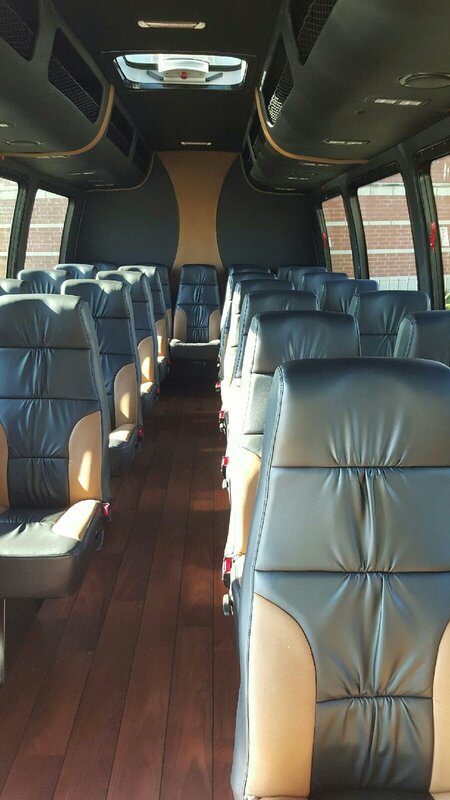 They are spacious and equipped with all of the limo amenities, such as leather seating, bottled water, and reading materials. Some of our hybrids even include digital backseat entertainment and on board computers with WiFi. Take advantage of today’s offer and see what it’s like to be Going Green. Don’t just think green. Limo service providers like Going Green Limousine are not the norm yet, but as more and more people realize the impact they are making with their everyday decisions, the decision to start Going Green will be as easy as making a reservation with us. Reserve a stocked bar Chicago Limo Charter and save 20% on all stocked bar options. This offer is good for stretch limos up to 8 passengers and is based on availability, so please be sure to book early. Mention DDD8 when making your reservation online or by phone. Reservations must be made by 11:59pm on December 8, 2011 to receive this promotional offer. Going Green Limousine offers charter service in all of our vehicles, including our hybrid sedans, hybrid SUVs, and flex-fuel SUVs. However, due to state law, if you want to drink in the back of a limo, you need a stretch limo with a partition. Therefore, you may only drink in the back of a stretch limo in Chicago. With any of our stretch limo charters, we always provide complimentary ice, bottled water, and glassware. You are always welcome to bring your own alcohol. However, with this deal, you can take advantage of a stocked bar option without paying full fare. Additional liquors/packages available upon request.